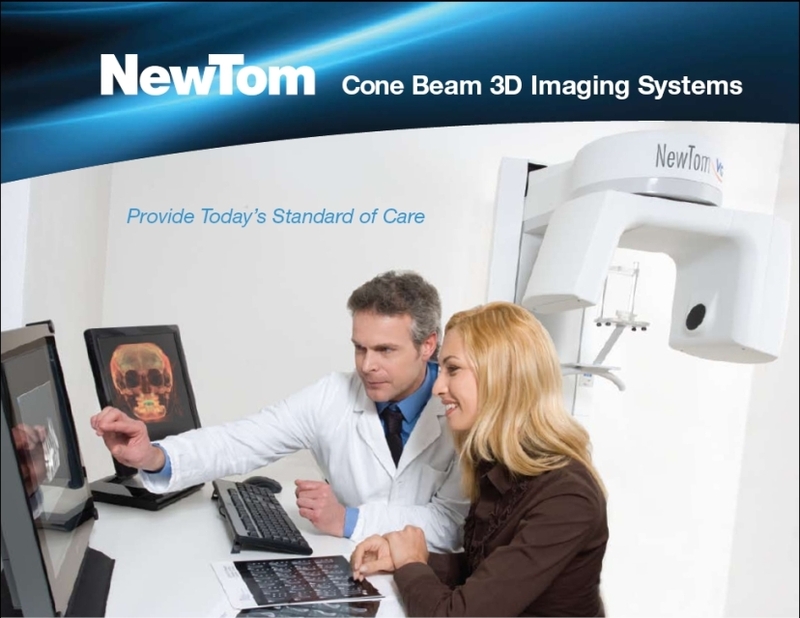 The VGi Cone Beam CT Technology has a full 3D volumetric scan. 100% Direct Digital. 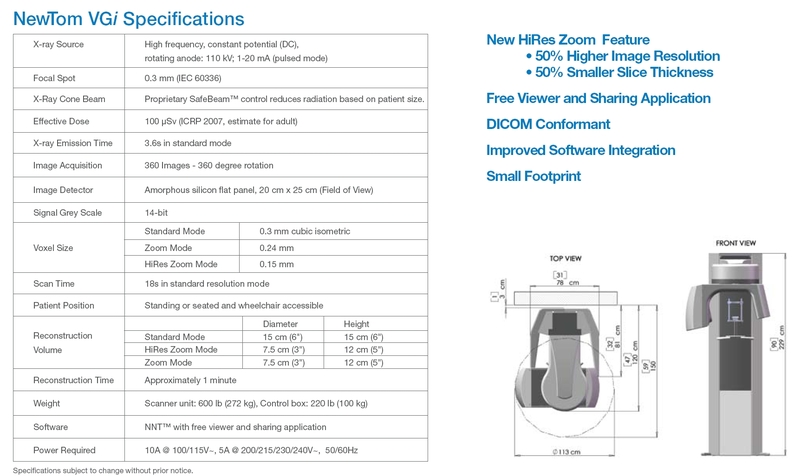 Compact seated design, easy to operate. Free standing, plugs into a 110V outlet. Qualifies for the annual Tax Deduction. Priced affordable - Easy Leasing Terms! Everything from just a single scan! Please click here for the VGi slideshow! 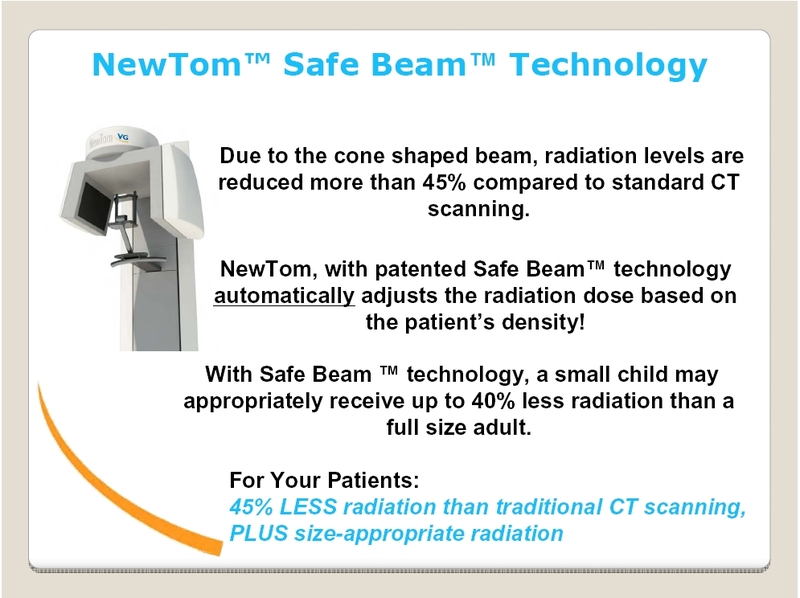 Check out the VGi's SafeBeam Technology!